Wow– the end of another Alphabet Project! Of course I still have a few stragglers to fill in, but I must say I’m happy to be (nearly) done with this one. Over the past six months I’ve certainly learned a lot about Adobe Illustrator,* but frankly I’ve lost much of my zeal for vector & robots, & I’m itching to get back to more organic artwork, both in subject matter & technique. I have a completely different & fun new series in my head & can’t wait to get started! I’m hoping to have my first piece up in the next week or two– stay tuned! In the meantime, check out everybody’s AlphaBots from A to Z here! *I just learned about the Distort/Roughen effect, which I used (twice) on a zig-zag path, to make the zap of electricity on this guy’s head look more convincingly random. 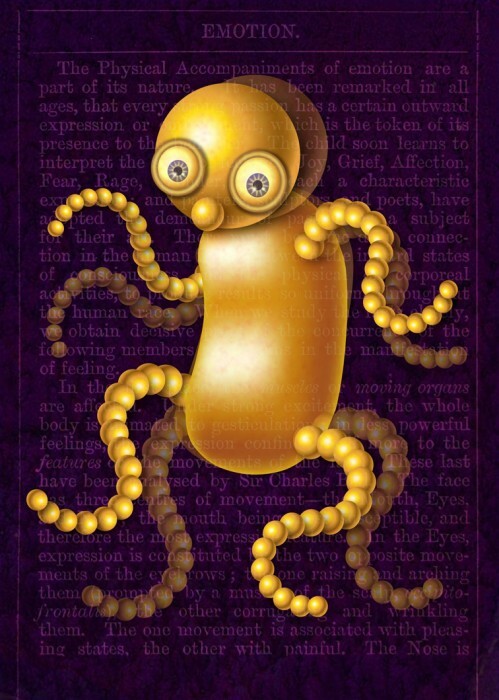 This entry was posted in Curiosities, Experiments and tagged Adobe Illustrator, Alphabet, AlphaBots, Artificial Emotional Intelligence, Zap, Zeal on 29July 2013 by Leah. I’m not sure what this bot is yearning for, but I’m yearning for more time to do all the things I need/want to do (including catching up on the missing AlphaBots)! Illustration Friday folks, this is the next to last image in an alphabetical series I’ve been working on, called AlphaBots ~ Artificial Emotional Intelligence. 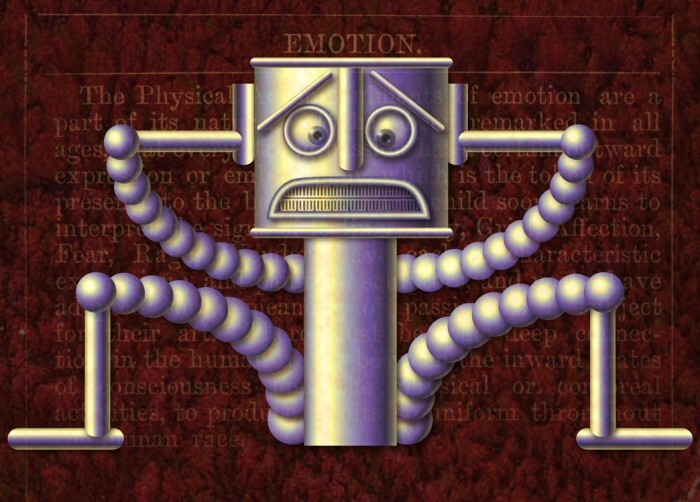 Trying to learn Adobe Illustrator while proving that robots have feelings too! This entry was posted in Curiosities, Experiments and tagged Adobe Illustrator, AlphaBots, Artificial Emotional Intelligence, Yearning on 22July 2013 by Leah. Surprise! I did an AlphaBot this week after all! We had a surprise flood situation this weekend that put me behind in everything– only the basement was affected, but with both sons home there was a lot of stuff stored down there. Luckily nothing truly precious was destroyed, but it still took many, many hours of clean-up. And it happened on my birthday, too, hmph!! The nerve!! This bot pretty much captures my mien upon discovering the situation. 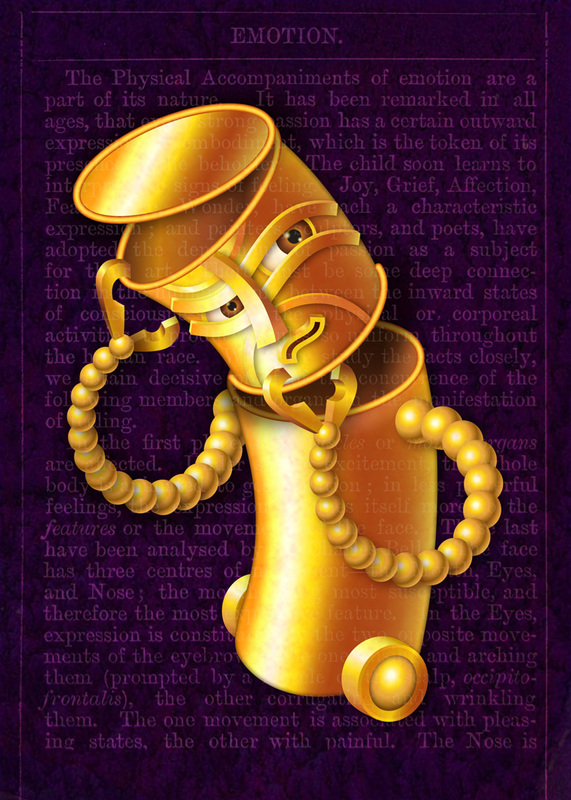 This entry was posted in Curiosities, Experiments and tagged Adobe Illustrator, Alphabet, AlphaBots, Artificial Emotional Intelligence, springs, Surprise on 13June 2013 by Leah. 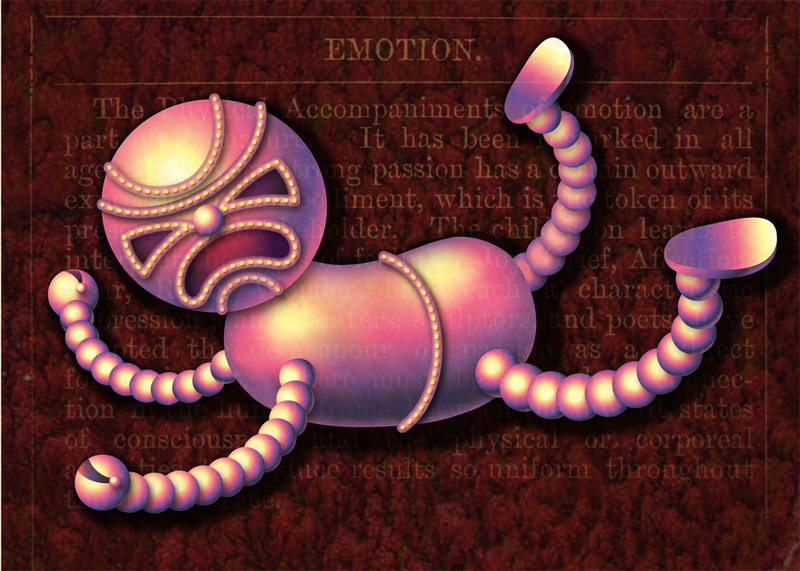 Oh how I identify with this wiggly bot! It’s strange that someone with a severe case of the fidgets would choose a career that requires hours on end of near-immobility, but making art is just as irresistible as movement, so my two obsessions fight it out every day. Usually I start with the art & when I can’t sit still another minute, I get up & hoop-dance madly for a while. Then back to the desk or drawing table until the wiggles take over again. I’m very tempted to animate this little guy, but that would mean sitting here a lot longer, & I really need to go hoop! This entry was posted in Curiosities, Experiments and tagged Adobe Illustrator, Alphabet, AlphaBots, Artificial Emotional Intelligence on 3June 2013 by Leah. After all that fussing, I remembered that I’ve never actually felt satisfied with mechanically accurate perspective in a drawing anyway. It usually makes it look a little stiff & dead to my eyes. All in all, the experience has left me quite querulous! Should’ve seen that coming, I guess. 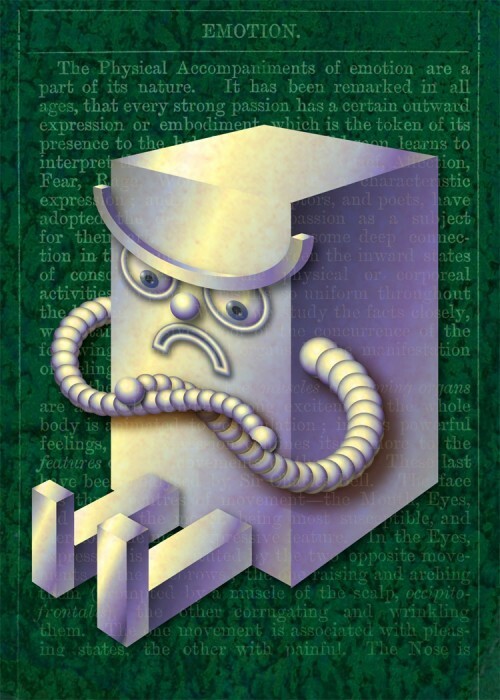 This entry was posted in Curiosities, Experiments and tagged Adobe Illustrator, AlphaBots, Artificial Emotional Intelligence, Perspective, Pouty, Querulous on 27May 2013 by Leah. I’ve been trying to learn to code lately, so I’ve been experiencing plenty of puzzlement! However, I thoroughly enjoy the Lynda.com tutorials, in part because it tickles me to hear serious-sounding British dudes saying “curly braces” repeatedly. Still, I do sometimes wish I could remove my head & give it a good tune-up from time to time. For one thing there is loads of useless information in there that I wish I could dump out to make room for more! p.s. For some puzzling reason my site was down all day but now it has spontaneously reappeared! Apologies to anyone who was inconvenienced by the lacuna. 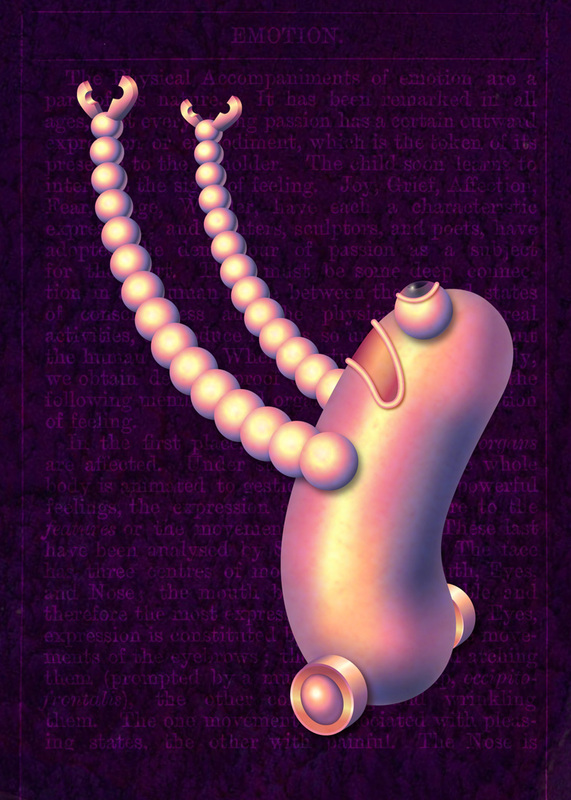 This entry was posted in Curiosities, Experiments and tagged Adobe Illustrator, Alphabet, AlphaBots, Artificial Emotional Intelligence, Letter P on 20May 2013 by Leah. Sometimes it’s all too much!!! And before you say anything about the undeniably awkward title, there is NO really good noun form for “overwhelm”! I had a choice between a rarely-heard & semi-archaic word (“overwhelmedness”) & a cleaner, more current, but non-standard one (“overwhelm” as noun). I rather liked someone’s suggestion of “overwhelmment” but that wasn’t in the OED either. So I went with the superannuated version, because that’s how I roll! I mean, I use a dip pen every day. What did you expect? ;-) It would have been easier if I’d chosen adjectives to begin with, but too late now! 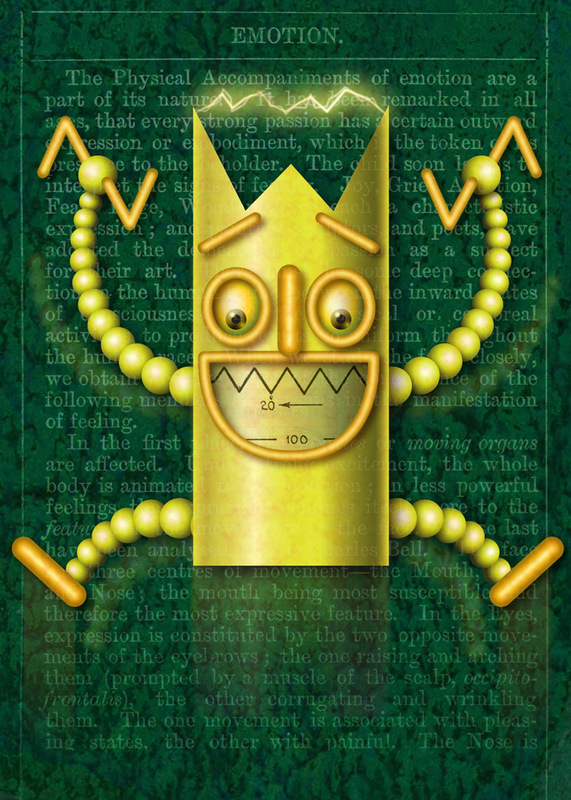 This entry was posted in Curiosities, Experiments and tagged Adobe Illustrator, Alphabet, AlphaBots, Artificial Emotional Intelligence, Overwhelm on 13May 2013 by Leah. Sometimes these bots come along at just the right time. It happens that my parents are selling the home where my siblings & I grew up. It’s the right thing to do, but still a bittersweet moment. We had a family “house-cooling” last weekend where we all indulged in a good bit of nostalgia, along with some champagne, a few tears & plenty of laughter. Do you think the electronic beings of today look back at vacuum tubes with fond nostalgia? I must say crafting this one in Illustrator was quite the maddening experience. Although I felt it was the perfect program for all the mechanical precision, it kept selecting the wrong paths of the zillion & three I had to create for the circuitry. I was locking everything else down, so I don’t quite understand why. 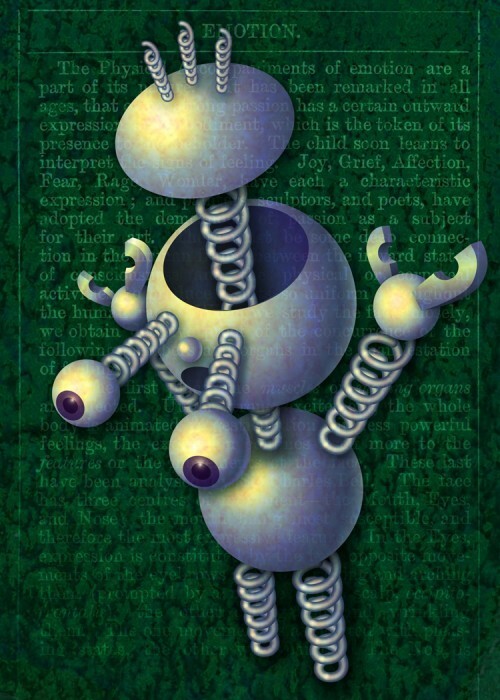 Any wisdom from the AI wizards out there? On the bright side, I discovered Envelope Mesh. Man that was handy for tweaking the perspective! p.s. Please forgive my electronic ignorance, all you folks out there who know how circuits really work. (You know who you are!) I’m sure this configuration is ridiculous & impossible. I claim artistic license! 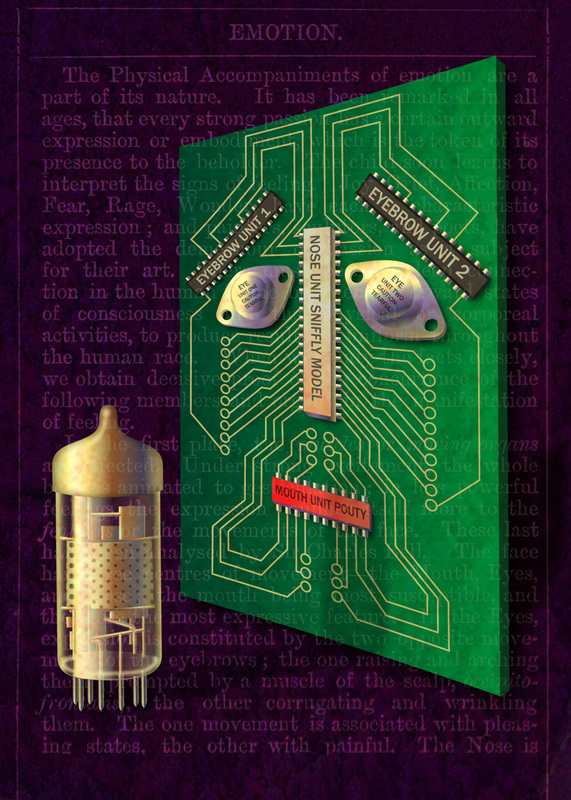 This entry was posted in Curiosities, Experiments and tagged Adobe Illustrator, Alphabet, AlphaBots, Artificial Emotional Intelligence, Electronics, Vacuum Tubes on 7May 2013 by Leah. Apologies for the miserably late post! 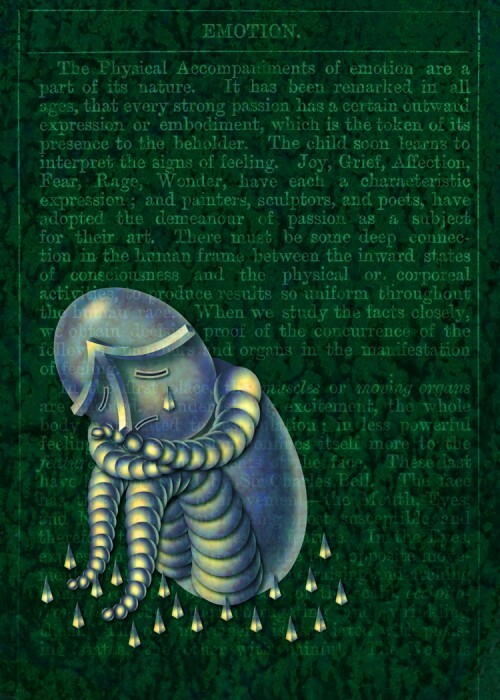 I thought robot’s tears would be hard & sharp– tears do sometimes feel that way. And misery can accumulate like a bed of nails, making it hard to find one’s way out without pain. This entry was posted in Curiosities, Experiments, Uncategorized and tagged Adobe Illustrator, Alphabet, AlphaBots, Artificial Emotional Intelligence, Tears on 2May 2013 by Leah.